The Cité des Sciences et de l’Industrie and its Cité des Enfants are entertaining, interactive museums in the Parc de la Villette that make learning about science fun for the whole family. 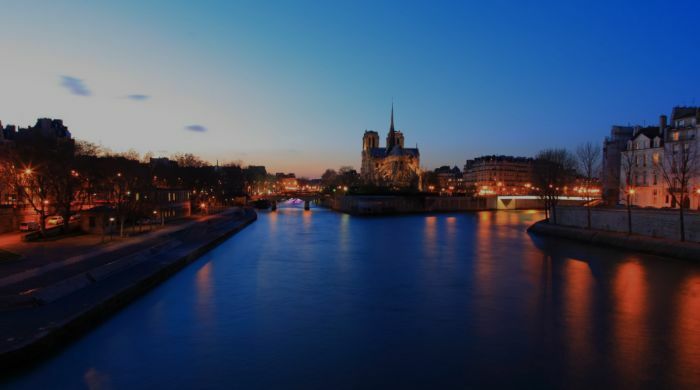 Located in the Parc de la Villette, next to the Géode Imax cinema and not far from the Philharmonie and the Cité de la Musique complex, the City of Sciences and Industry is a small revolution in the world of Parisian museums. Focusing both on science and technology, here theory takes a back seat to demonstrations, experimentation and manipulation, thereby making science accessible to everyone through educational activities for all ages. A gigantic futuristic structure designed by architect Adrien Fainsilber, the Cité des Sciences, inaugurated in 1986, is a symbol of modern technology with its glass, concrete and steel facade. As one of the largest science museums in Europe, it is a popular Parisian family destination, particularly for the temporary exhibitions held throughout the year. From the main hall head to the upper floors to explore the various temporary exhibitions and permanent spaces. On level 1, discover the history of our planet, our future energy and transport systems, put into practice some of the great mathematical theorems, listen to a collection of sounds in the comfort of an alcove, or explore the hidden corners of the human brain. On Level 2, immerse yourself in the planetarium and its 8K high definition laser projection system that will propel you deep into our solar system on a poetic, emotional journey. And because science is just as much for the little ones, the Cité des Sciences created a sister space with the Cité des Enfants on level 0, where children can manipulate and experiment like the grown-ups. Here workshops and activities are divided into two age groups: 2–7 year olds, for a gentle discovery of the sciences, and 5–12 year olds through five thematic spaces (the body, water games, communication, the factory, the garden and a TV studio for budding chemists or future TV presenters). When you’re finished be sure to visit the old Navy submarine, L’Argonaute, that has dropped anchor in front of the museum, or finish your educational journey with a 3D cinema session at the Géode. Station n° 19009 : 28 bis, avenue Corentin Cariou. 75019 Paris. Station n° 19033 : 30, rue de Cambrai. 75019 Paris. Station n° 19011 : 2, rue Rouvet. 75019 Paris. Station n° 901 : allée du Belvédère. 75019 Paris. By car Paris North périphérique, exit Porte de la Villette. Every day throughout the year between 10 AM and 6 PM. Closed on Monday. Closed exceptionally on January 1st, May 1st and December 25th. On Sunday from 10:00 to 19:00.